Product prices and availability are accurate as of 2019-04-21 09:50:58 EDT and are subject to change. Any price and availability information displayed on http://www.amazon.com/ at the time of purchase will apply to the purchase of this product. 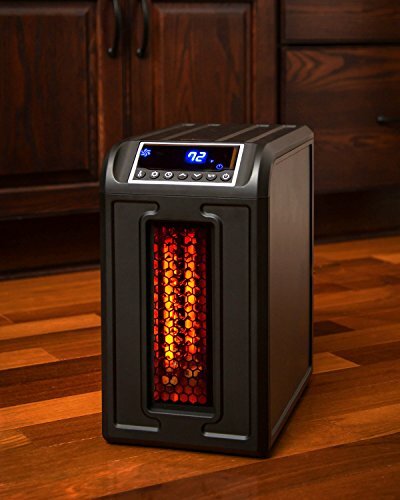 The Lifesmart LS 3 ECO Infrared heater offers you safe, healthy heat and is ultra-efficient for a medium size room. This heater features 3 of our metal wrapped quartz infrared elements, has a lifetime washable air filter and only uses up to 1500-Watts. All electrical components are warrantied for 1 year. There are 3 energy savings settings including an Eco Setting that will heat smaller areas to 68 degrees using only 500-Watt. The heater is surrounded by our stylish black fireproof cabinet. 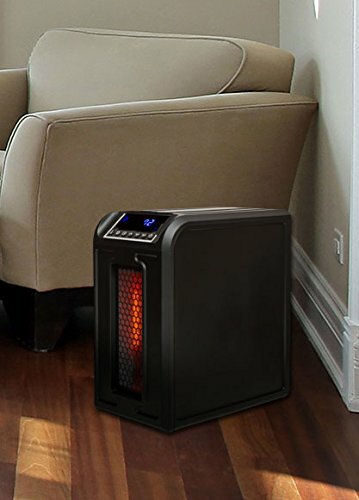 The lightweight heater makes it easy to carry from room to room to enjoy the benefits of zone heating. This compact heater also includes a new larger remote control to operate the Digital Thermostat allowing you ultimate control. Dual Timer settings can be used to turn on or off the unit up to 12 Hours ahead.